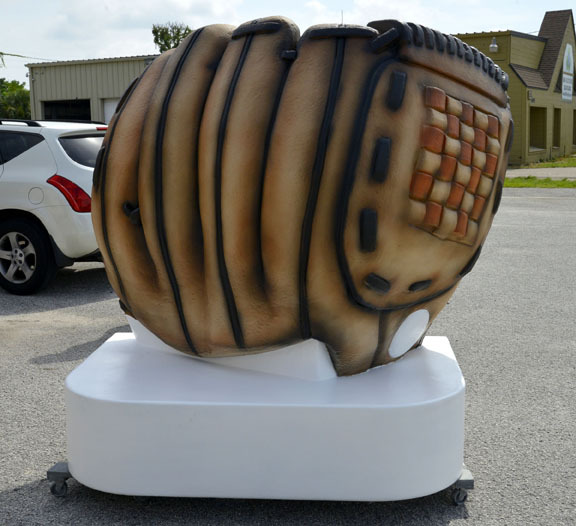 Giant Foam Baseball Glove Seat - Dino Rentos Studios, INC. 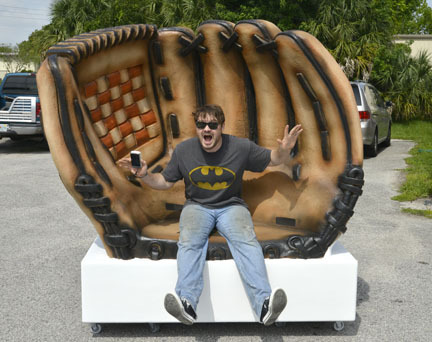 This Giant Foam Baseball Glove Seat is a perfect prop/decoration for any sports fan or baseball themed event! Get amazing photo opportunities, smiles and attention with this oversized prop decoration! 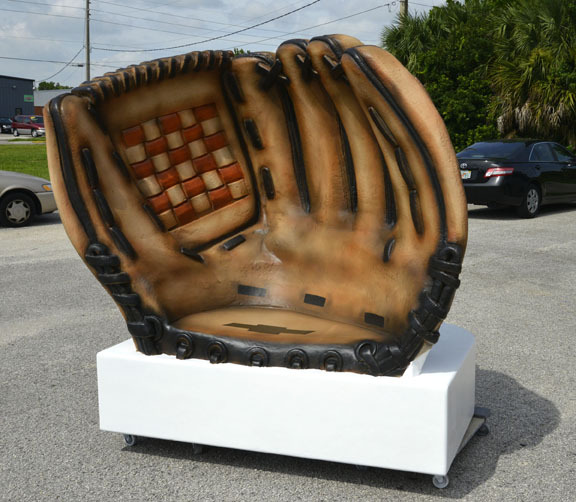 Measuring 6ft in height and 5ft in width (outer dimensions with base), this Giant Foam Baseball Glove Seat comes heavy plastic coated (double coated) with wood in the seat and base interior for extra support. Ships freight for additional cost. Please allow 6-8 weeks manufacturing time. Want it sooner? Expedite manufacturing may be available for additional fee. Please contact customer service for fees and freight shipping charges!